The Pilates Suspension Method DVD includes three Pilates Rooted workouts on the Suspension Trainer totaling 81 minutes. “The Foundation Workout” will teach you all the fundamental PSM exercises at a slightly slower paced to ensure safety and correct movement patterns. “The Next Level Workout” is the perfect building block for those who have mastered the foundation exercises and are eager to learn more intermediate exercises. “The 10-Minute Core Challenge” is an abdominal focused workout that can easily be added at the end of either of the workouts or as a stand alone quickie sweat session. 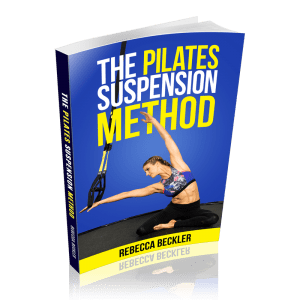 This 3-in-1 workout DVD is perfect for any fitness lover who would like to learn Pilates based exercise on the Suspension Trainer in a fun,effective, and innovative way.